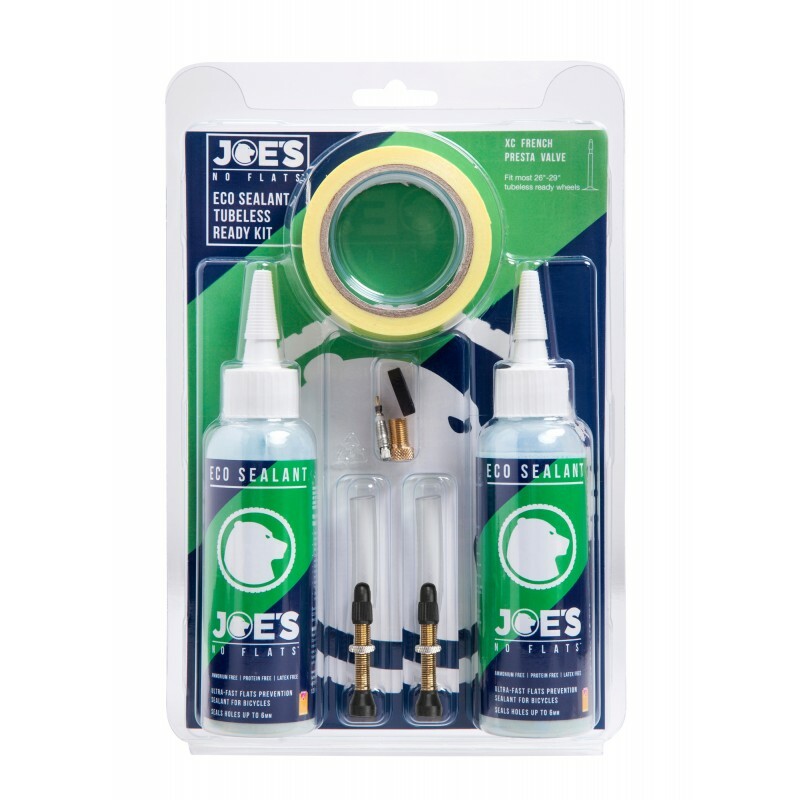 Joe's Eco Sealant conversion kit contains the new generation of sealants: it is latex free, ammonium free and protein free. That means it's suitable for people with allergy and sensitivity to latex and protein and for sensitive rims and tires. It seals holes up to 6 mm and seals wall bleeding (air leak from the thin side walls). Tubeless System is the most important upgrade available for a dedicated cyclist. Benefits of tubeless system are: When using a converting system you save hundreds of dollars in comparison with dedicated tubeless system. Reducing weight where it's most important- at the outside of the wheel. Better protection against flats and no snake bites (pinch flats). Decrease of rolling resistance- that means you go faster with less effort. It is possible to ride with reduced air pressure in the tires to increase traction with no fear of snake bites. Tubeless technology is not the future – it's the present!